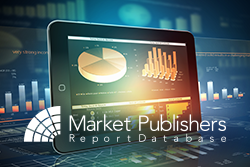 Topical research report “Smart Commercial Drones: Market Shares, Market Strategies, and Market Forecasts, 2015 to 2021” prepared by WinterGreen Research is now available at MarketPublishers.com. According to the report, the world market for smart commercial drones is expected to reach USD 27.1 billion by 2021. Drones are anticipated to provide billions of dollars in economic development. The economic benefits are enormous. The drone technology is becoming more advanced, promising better stability, reliability and navigation, as well as longer flights, softer landings, better ability to carry various payloads. Developing nations are more receptive to drones than the USA is. The value of the smart commercial drone market is expected to surge from USD 3.4 billion in 2014 to USD 27.1 billion in 2021. Each of the segments (including oil & gas, agriculture, border patrol, disaster response, national security, package delivery, law enforcement, videography and photography) are poised to grow at a different rate, depending upon the use case effectiveness of smart commercial drones. The commercial grade consumer video drone segment is the largest one in terms of revenue in 2015, and it is expected to lead over the forecast period. The research publication is designed to present a comprehensive overview of the smart commercial drone marketplace. Commentary on every market aspect from independent analysts provides an independent perspective in the assessment of the market. The study presents an all-encompassing overview of what is occurring in this market, helping managers design market strategies which are most likely to succeed. Granular description of the smart commercial drone market segment alongside an extensive review and assessment of the market dynamics. Smart commercial drone aerial systems (UAS) market shares and forecasts, including an analysis of the drivers of the smart commercial drones market, overall market shares and forecasts, as well as an analysis of market shares and forecasts for each of the market segments. Analysis of regional markets for smart commercial drones. Spending on smart drone UAV technology. Insightful description of the leading products, technologies, applications, etc. Detailed profiles of the drone and remote control companies worldwide. More reports by the publisher can be found at WinterGreen Research page.